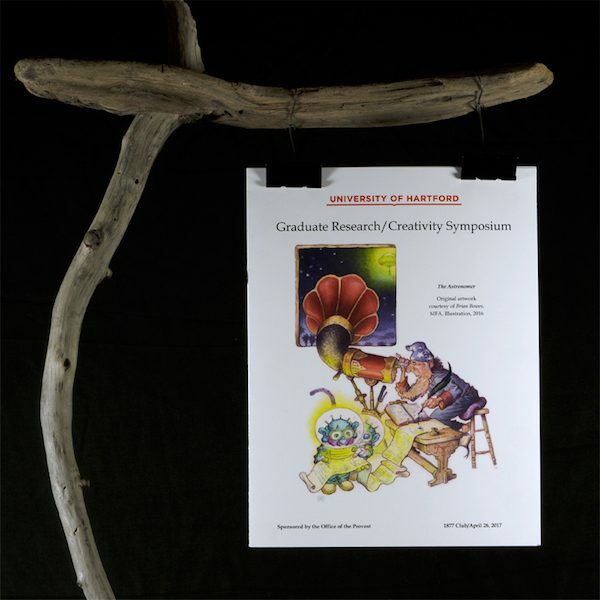 It was an honor to have my illustration chosen as the cover for the University of Hartford’s Graduate Research and Creativity Symposium catalog. 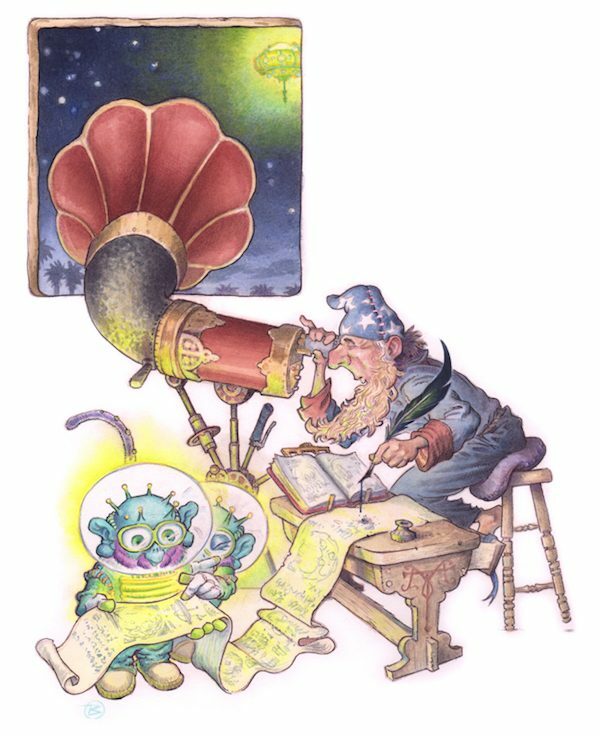 “The Astronomer” was created in response to my Illustration MFA class visit to Pasadena, CA. The imagery is based on a magical visit to the Griffith Observatory. If you look closely the table leg, you will find “M.T.” inscribed there. This is my homage to our former program Director Mr. Murray Tinkelman (1933–2016) who was like an astronomer in the way that he loved to discuss the stars of illustration. You can see some process work and find out more here.